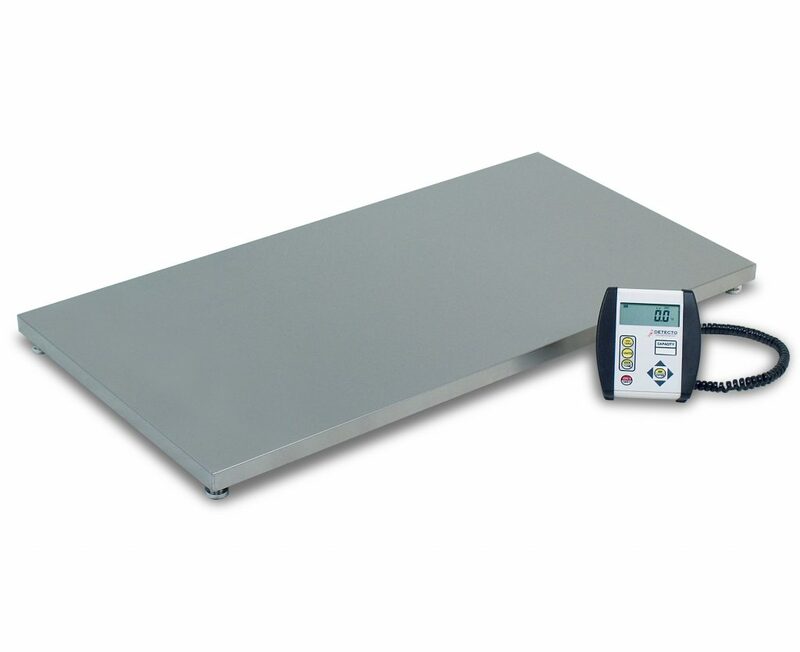 The perfect scale for veterinarians, kennels, labs or anyone handling medium to large size animals. The large, low-profile 42 x 22 inch (107 x 55 cm) platform makes it easy for animals to step onto the floor scale without hesitation. The removable stainless steel platform makes clean-up fast and easy. The indicator comes with an 8 ft (2.5 m) coiled cable and adjustable mounting bracket. 0.75 inch (19 mm) high LCD readouts provide easy-to-read measurements. 400 lb x 0.2 lb / 200 kg x 0.1 kg capacity. VET-MAT rubber mat also available under OPTIONS.